This is the last day for manufacturers and integrators to enter the 2019 Mark of Excellence Awards. Enter today and have your product or project featured in the March issue of CE Pro and online at CEPro.com. Last chance! Today is the final day to enter the 2019 Mark of Excellence Awards, so be sure to get your entries in while you still can! 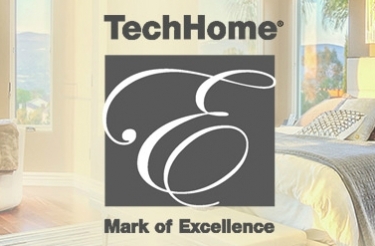 Today, November 30 is the final day to enter the 2019 Mark of Excellence Awards, presented by the Consumer Technology Association's (CTA) TechHome Division and CE Pro. The winners will be announced at the TechHome Mark of Excellence Awards Reception during CES 2019 in Las Vegas, Nev. on January 9, 2019. The deadline is TODAY. Enter here!